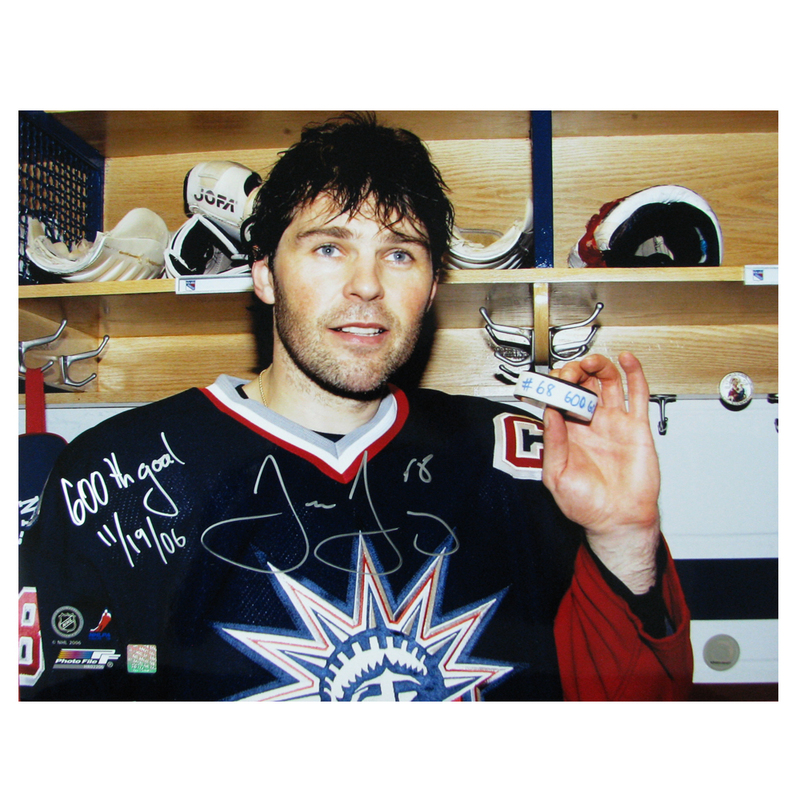 Autographed Jaromir Jagr New York Rangers 16 x 20 Photo inscribed "600th Goal 11/19/06." This photo would make a terrific addition to your collection. All of our Autographed Memorabilia comes with our Certificate of Authenticity. Thanks and GOOD LUCK ! !